On May 30th the concert Awtar Al-Quds - Strings of Jerusalem" launching the project Al-Quds University College of Music gathered musicians from Palestine, Austria, France, Greece, Cech Republik and the U.S.A.. The new faculty of music will be providing musical education, professional training and academic activities at the highest level for young performers, composers and scholars. Students will be encouraged to develop their own individual musical language and expression, gaining artistic input and technical skills to better listen, analyze and produce musical works of art. Music is an integral part of the profound spiritual and cultural life of Jerusalem and of its rich history. The work of the new centre shall be inspired by as well as inspire the surroundings at the crossroads of musical civilizations in the Old City of Jerusalem. 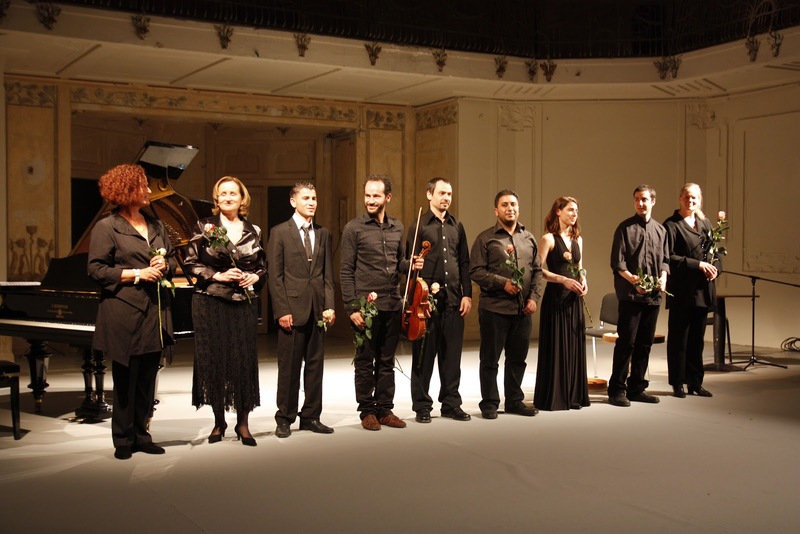 "We are very happy to present these wonderful Palestinian musicians for the first time to a Viennese audience. Together with distinguished artists living in Vienna they have worked on a very special program to bring the ambiance of Jerusalem to Austria" said development coordinator Petra R. Klose in her welcoming note. "The sounds of Jerusalem today, the Church bells and the Muazen continue to go beyond the 8 meters concrete and barbeled wired Wall, that separates people. Al-Quds College of Music which will bring more sounds through an international exchange, will play the strings of hope and freedom" expressed Huda Al Imam, director of the Center for Jerusalem Studies of Al-Quds University. Theatre director Amira Bibawy was proud to host this unique new project in Vienna. The program included works by Ramzi Aburedwan, Hugo Wolf, Georges Bizet, Fréderic Chopin and William Bolcom as well as recitation of abstracts from Sari Nusseibeh's book ‘Once upon a Country’. 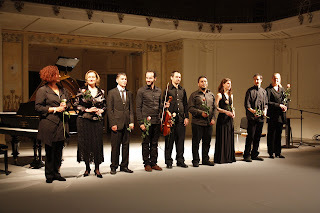 Performers of Awtar Al-Quds were Ramzi Aburedwan (bouzouq, viola), Ibrahi Elfroukh (percussion), Oday Khatib (oriental voice), Sylvia Khittl-Muhr (soprano), Bakr Khleifi (oud, double bass), Anna Magdalena Kokits (piano), Dimitrios Mikelis (oud, piano), Kristin Okerlund (piano) und Bettina Waldner-Barnay (dramatic reading). The concert ended with a composition and improvisation on Mahmoud Darwish' poem "Et nous, nous aimons la vie tant que possible".